We trace our roots to a band of English Separatists in the 16th century. In the context of the Protestant Reformation, these believers chose to risk life and liberty in order to follow their conscience. They sought to form a church that would be under God's authority alone, not bound by state edict or canon law. For these religious pioneers, freedom of conscience and the autonomy of the local church were guiding principles. 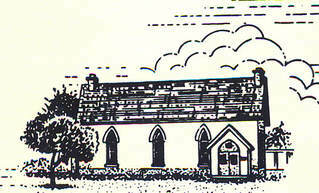 The first non-Mormon church in the Utah Territory was the First Congregational Church. The first sermon given by a Congregational pastor was preached in rented quarters in January 1865. Soon arrangements were being made to adopt a constitution and elect trustees for the church. Discussions regarding the construction of a building came shortly thereafter. Property was purchased on the south side of Third South just west of East Temple (today’s Main Street). Independence Hall, an adobe building 33 feet wide and 57 feet long, was completed that same year and the first worship service was conducted in the new structure on November 18, 1865. The building cost $5,000 and could seat 200. In addition to church and Sunday School activities, many literary, fraternal, political and civic meetings, dances, programs and schools were held in Independence Hall. In this building Jewish, Catholic, and various Protestant churches held activities until they could finish their own facilities. At that time the Territory did not provide free education for children, and the only schools in the valley were private, fee-based schools and many children could not afford to attend. Pilgrim Day School was one of the schools started by the First Congregational Church and was built at the corner of Seventh East and Fifth South. Another school, which served Chinese immigrants, was started initially over a Chinese store, but later moved to Independence Hall. In 1889 the Church decided to sell Independence Hall, the building that had been used for benevolent, educational, patriotic, religious, fraternal, social, and political purposes since 1865. The decision was sparked by a desire for a larger and better-equipped structure. Also a factor was the favorable economic climate for the sale of Independence Hall which was located in the expanding downtown business district. New property was purchased at the corner of First South and Fourth East, and the new sanctuary was first used in May 1892. The building had many Romanesque architectural elements and was built of gray sandstone. The sanctuary was octagonal with concave sides. It seated 550 on the main floor, and another 250 in the curved balcony. A curtain on the east side of the sanctuary could be drawn back providing access to the large Sunday School room which increased the total seating capacity to 1,200. A beautiful organ, built by Farrand and Votey was installed behind the pulpit. A stained glass window measuring 7 by 17 feet was placed in the south wall of the sanctuary. The window is a depiction of “The Walk to Emmaus.” It was purchased from a New York firm, J. & R. Lamb, at a cost of $800. Although the building at First South had been built with a bell tower, no bell was ever installed. The contract of sale for the property drawn up in 1890 included a clause excluding the use of a church bell. There’s an anecdotal account that the former property owner lived nearby and wanted to sleep in on Sunday mornings.